The Site and its Materials are owned by Epson and are copyrighted. You may not distribute, modify, reproduce or use any Materials, in whole or in part, without the prior written consent of Epson, except that you may download Materials for your non-commercial, personal use only, provided you keep intact all copyright and other proprietary notices. Epson is a wholly-owned subsidiary of Seiko Epson Corporation. Epson, the Epson logo, and Epson Stylus are registered trademarks of Seiko Epson Corporation (SEC), registered in the Singapore and other countries. SEC and its affiliates, including Epson Singapore Pte Ltd own many other registered trademarks and tradenames (the "Trademarks"). Any questions concerning Trademarks should be referred to Epson through the webmaster. Nothing contained on the Site should be construed as granting, by implication, estoppel or otherwise, any license or right to use any Trademarks displayed on this Site without the written consent of Epson or such party that may own the Trademarks. The absence of a product or service name or logo anywhere in the text of this Site does not constitute a waiver of any trademark or other intellectual property rights concerning that name or logo. All other products and brand names are trademarks and/or registered trademarks of their respective companies. In the event you download software from the Site, the software, including any files, images incorporated in or generated by the software, and data accompanying the software (collectively, the "Software") are licensed to you by Epson. Use of the Software is subject to the license terms in the Software License Agreement that accompanies the Software. Epson does not transfer title of the Software to you. You own the medium on which the Software is recorded, but Epson retains full and complete title to the Software, and all intellectual property rights therein. You may not redistribute, sell, decompile, reverse engineer, disassemble, or otherwise reduce the Software to a human-readable form. Mention of third party products, companies, and web sites on this Site is for informational purposes only and constitutes neither an endorsement nor a recommendation. Epson makes no representations regarding the quality, safety or suitability of any products by third party companies. All third party products must be ordered directly from the vendor and all licenses and warranties, if any, are made between you and the vendor. Links to third party web sites are provided solely as a convenience to you. Epson has no control over the contents of any other web site and makes no representation whatsoever regarding the content of any other web site. When you use these links, you will leave this Site. Epson does not endorse or have any responsibility for the content, information, and products on the site or for materials and information contained in any third party web site. Any feedback you provide at this Site, by electronic mail or otherwise, including data, questions, comments, suggestions or the like shall be deemed to be non-confidential and non-proprietary. Epson and its affiliates shall be free to use such information for any purpose on an unrestricted basis. THE SITE AND ITS MATERIALS ARE PROVIDED "AS IS" AND WITHOUT WARRANTIES OF ANY KIND EITHER EXPRESS OR IMPLIED. TO THE FULLEST EXTENT PERMISSIBLE BY APPLICABLE LAW, EPSON DISCLAIMS ALL WARRANTIES, EXPRESS OR IMPLIED, INCLUDING BUT NOT LIMITED TO, IMPLIED WARRANTIES OF MERCHANTABILITY, FITNESS FOR A PARTICULAR PURPOSE AND NON-INFRINGEMENT OF INTELLECTUAL PROPERTY RIGHTS. Epson does not warrant the accuracy and completeness of the Materials or services provided at this Site. Epson also does not warrant that any functions of the Site will be uninterrupted or error-free, that defects will be corrected, or that the Site or the server that makes it available is free from viruses or other harmful components. Some jurisdictions may not allow the exclusion of an implied warranty so some of the above exclusions may not apply to you in all circumstances. IN NO EVENT WILL EPSON OR ITS AFFILIATES ASSUME ANY RESPONSIBILITY FOR ANY DAMAGES THAT RESULT FROM YOUR ACCESS TO, USE OF, OR INABILITY TO USE, THIS SITE, OR FROM YOUR DOWNLOADING OF ANY MATERIALS FROM THE SITE, EVEN IF EPSON OR ITS AUTHORISED REPRESENTATIVE HAS BEEN ADVISED OF THE POSSIBILITY OF SUCH DAMAGES. YOUR USE OF THE SITE IS AT YOUR RISK. NEITHER EPSON NOR ITS AFFILIATES SHALL BE LIABLE FOR ANY DIRECT, INCIDENTAL, CONSEQUENTIAL, INDIRECT OR PUNITIVE DAMAGES ARISING OUT OR YOUR ACCESS TO, OR USE OF, THE SITE. Some jurisdictions may not allow a limitation or exclusion on damages, so the above may not apply in all circumstances. In no event shall Epson 's total liability to you for all damages, losses, and causes of action (whether in contract, tort (including but not limited to negligence) or otherwise) exceed the amount paid by you, if any, for accessing this Site. The terms herein shall be governed by and construed in accordance with the laws of the Republic of Singapore, exclusive of its choice of law rules. In the event that any of the provisions herein are held by a court or other tribunal of competent jurisdiction to be unenforceable, such provision shall be limited or eliminated to the minimum extent necessary so that these terms shall otherwise remain in full force and effect. Prices, product descriptions and illustrations in this Site are subject to change without notice. Inventory of some items is limited to supply on hand. Epson may from time to time revise these Terms and Conditions by updating this posting. Please visit this page periodically to review the current Terms and Conditions because they are binding on you. Your continued use of the Site will mean you accept any changes. Looking to reduce plating costs? 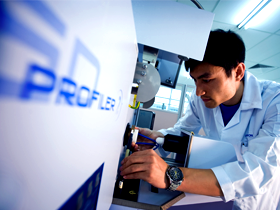 Learn more about our Selective Plating solutions. 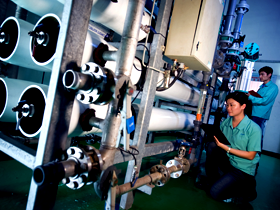 Waste water treatment - Learn about our in-house water recycling system. Have any enquiries? Find our contact details here. Copyright ©2010 Seiko Epson Corporation. All rights reserved.